It's so strange having so much time at home alone. My parents at work, my brother at school, and my sister not coming back from college for another 1 1/2 weeks. I haven't been alone like this for months. And though I've been saying that I can't wait to get away from all the people and just luxuriate in my solitude, now that I have it, I miss my friends. D'aw. Such is the nature of life. I think a part of what I miss is having the large crowd to cook for. I could bake anything and know that it would always get eaten. But I didn't have the time or space to do so. Now that I have the time, I don't have the people to eat my things! 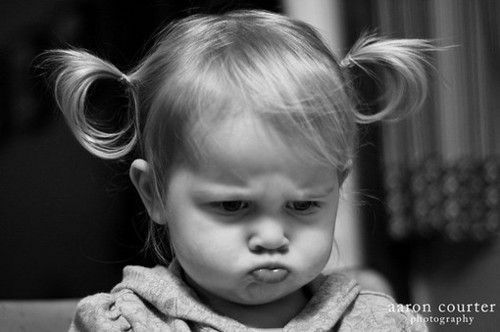 This is the face I am currently making to express these emotions. I am trying to make practical foods for my family. But it's very difficult when I just want to make a massive, three layer cake. Every. Day. So let me know if you need something like that, haha. Anyway. Popovers are like the easiest thing in the world to make. I kid you not. And I'm fairly certain a special pan is not necessary. A plain ol' muffin pan will do just fine. Preheat oven to 450 degrees F (230 degrees C). Place your pan in the oven while it preheats. In the meantime, in a medium bowl beat eggs slightly, Beat in flour and until just smooth; being careful not to overbeat. Remove pan from oven and place a piece of butter in the bottom of each cup. Fill custard cups 1/2 full. Bake at 450 degrees F (230 degrees C) for 20 minutes. Decrease oven temperature to 350 degrees F (175 degrees C) and bake for 10 minutes more. Immediately remove from cups and serve piping hot. But there are only so many of you! lol, you cracked me up, They are so simple and elegent. I will try them in a muffin tin.